Experience when you need it, where you need it. Camera person, cameraman, camera operator, videographer, cinematographer – whatever you call it, sometimes you just need someone to record your event, or shoot content for a particular project. For the Record Productions owner Peter Reynolds has been working as a Toronto videographer and cinematographer for over 20-years. 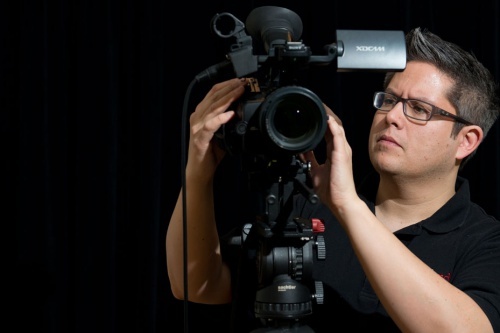 His experience includes news, documentary, corporate video and live events. Gear package includes a professional HD video camera, audio, lighting and specialty equipment such as a green-screen, teleprompter and a GoPro. Contact us for hourly and daily rates.